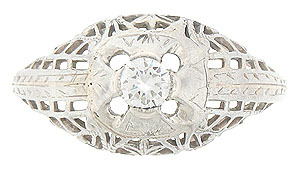 Intricate engraving and floral filigree adorn the shoulders and sides of this wonderful vintage engagement ring. 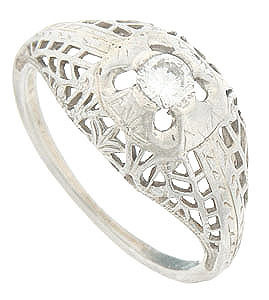 Crafted of 18K white gold, the ring features a .17 carat G color, Vs2 clarity round diamond. 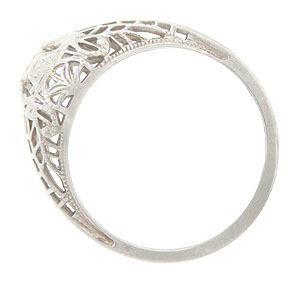 The vintage wedding ring measures 9.71 mm in width. Circa: 1930. Size 5 3/4 domed. We can re-size.